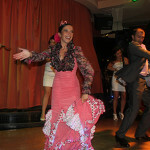 One of the most in demand entertainment options – female, glamorous Electric String acts combined with flamenco couple! 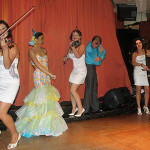 Ideal for events which demand dramatic, classical entertainment with added wow factor! Fuego delve into the wide world of fusion, show is the synthesis of a string rock, pop and contemporary classical crossover with flamenco sound. We hope this modern sound of electric violins and cello combined with original flamenco and fusion dances is sufficient to bring sensitivity and grandeur, formality and enjoyment to any occasion. Show Fuego can create an ambience of sumptuous luxury or informal hospitality. 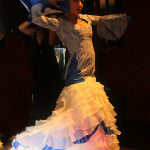 The idea of this electric instruments line-up playing familiar modern tunes combined with flamenco and fusion dances intrigues audiences of all ages.